How Does Travel Fit Into A Simple, Minimalist Life? Whether by car, bus, train, plane or even on foot, there’s nothing simple about the way most people travel. Complicated arrangements, high-priced accommodations and lengthy itineraries don’t immediately seem to fit into a simple, deliberate life. So how does travel fit into the minimalist lifestyle? Many insist that it does, but is that a stretch? I’m looking forward to your thoughts on this one. 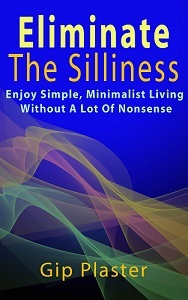 Some so-called minimalist bloggers have created very convoluted definitions of the simple life. Have you noticed that? Because they have a penchant for the finer things in life, they include high-end designer laptops among their possessions, rationalizing that since they work online from coffee shops they need a full-featured, status-symbol machine instead of the simplest, least expensive one on the market. Some who call themselves minimalists are also brand loyalists, adorning themselves with name-brand khaki shorts and expensive shoes that hug their toes instead of simpler, more durable alternatives. More interesting than either of those example, however, are those young minimalist writers who insist that a simple lifestyle includes lots of traveling. Since they aren’t tied to possessions, they can go anywhere they want with restriction, can’t they? At least one admitted, however, that after a lengthy trip to Australia, he came back with thousands in debt. How simple is that? In fact, how can something like travel that depends so heavily on corporate systems really be part of a simple, deliberate life? Travel expands our small lives in grand ones, doesn’t it? Travel promotes connection with ancient cultures, and the simplicity of these ancient lifestyles is sometimes amazing. The things ancient people were able to create because they had the time is amazing too. I talked about that idea last year in a post called Ancient World Lessons In Simplicity. Of course, another important reason for living simply is to have time to enjoy the beauty of life around us. On my trip to Los Angeles a decade ago, I found the city’s downtown area just as beautiful as the cityscapes around where I live. The beauty of the Pacific Coast Highway and the Crystal Cathedral didn’t escape me either. In San Antonio, ancient missions stand as testament to a different, perhaps simpler time. Replicas of an Our Lady of Guadalupe statue and the grotto at Lourdes are inspiring even to those of us who don’t understand their significance to Catholics. And the Paseo del Rio — called the River Walk by most people — is stunning even though it is human-made and commercialized. Living simply also allows time for adventure. I don’t want to climb a mountain or fall from a functioning aircraft, but I can understand the desire some people have to establish broader boundaries on their lives. And I can’t climb a mountain here in North Texas. We don’t have any. Many people use travel as a way of escaping the very real problems of life. Running away only feels good for a moment. Reality is always waiting for us when we return. Using travel as an escape mechanism isn’t a very good idea. Then, there’s the environmental impact to consider. Every method of travel except walking along established paths has a negative impact on the environment. Is it really worth further damaging the planet just so I can see Stone Mountain? Perhaps the strongest case against travel involves the complex systems in which travelers must participate. Travel by car is relatively simple. A few traffic jams, some high gas prices and dependence on a single, fallible vehicle while hundreds of miles from home is almost tolerable. But traveling by air, train or bus involves participating in complicated corporate systems designed to make money for others and create hassles for us. Like me, don’t you do everything you can to avoid needlessly complex systems? For me, the verdict on travel varies with my mood. I don’t have the money to travel right now, but that never really stopped me in the past. Some of my favorite places are just a couple hundred miles away, but I also enjoy the attractions that I’ve visited in the towns around me — and there are many of those I haven’t seen yet. What’s your feeling about how travel fits into the simple life? I’d like to see Venice and even Cardiff, but I haven’t seen Portland or Madison either. I’ve seen Los Angeles, Atlanta, Washington, D.C., Oklahoma City and even Cozumel, however, and I know distance and preferences means many of you will never see those places. I’ve been fortunate to have traveled to some dream locations in my life, but I’m not very motivated or excited about visiting any more bucket-list locations in the next few years. Maybe someday. For now, I’d like to get my own house in order before I gawk at someone else’s, ancient or modern. It seems a reasonable course of action to me even though I know that somewhere in this nation a supposed minimalist, backpack in tow, is boarding a plane for Auckland. Traveling by RV can by simple and minimalist. We sold our house and everything in it. We stayed a lot in free places like BLM lands. We carried solar panels so as to be self sufficient electrically. We had to keep our possessions to a minimum since our RV had a weight limit. We cooked simple foods because we were too busy seeing our wonderful country to have time or inclination to make elaborate meals. Yes, we bought a lot of fuel, but less fuel than it took to heat our previous house during Minnesota winters. I think traveling full-time in an RV is the simplest, most minimalist, life there is. That sounds like the perfect way to live, Linda, and one I would enjoy. I think driving the RV would be the hardest part for me, but I suppose it’s something you get used to. I’m with Linda, Gip – RV travel is about the best of all possible worlds. It lets me avoid the typical for-profit travel “systems”, I can go at my own pace, staying as long or as little as I like in any place, I get to sleep in my own bed every night, have home-cooked meals, and, travelling or not, it is an economical and environmentally friendly lifestyle. Thank you so much for writing what I’ve been thinking in this post. I think travel can easily slip into a sort of experience materialism where the emphasis is on MORE (be it luxurious, intrepid, farflung, whatever). And air travel just doesn’t go with an low carbon lifestyle, period. The real gift would be to see your own environment with the same eyes as a tourist everyday. Absolutely, Deborah. There’s so much to do with 100 miles of me, and plenty within 50 miles. I’m enjoying getting to know my own area. I’ve visited many of the best places dozens of times, but there are others I’ve never even tried out. There are certain way to still be minimalist while you are traveling: take the cheaper mode of transportation, accomodation and activities is just one. Thanks for commenting, Belinda. It’s good to have you here. There are a lot of ways to be a minimalist while you are travelling. That is the good thing about it. We just have to question ourselves on how willing are we to go minimalist.